It's been on my mind for a while now because my local fabric store has a selection of vinyl, ideally for the local boating industry, but there's no reason I couldn't use it to make some awesome bags. I'd heard that vinyl was difficult to sew with so I've been putting it off until I could assemble the right supplies. Now there is a project on the work-table that I think you'll love and the pattern for the bag you see above is coming soon. 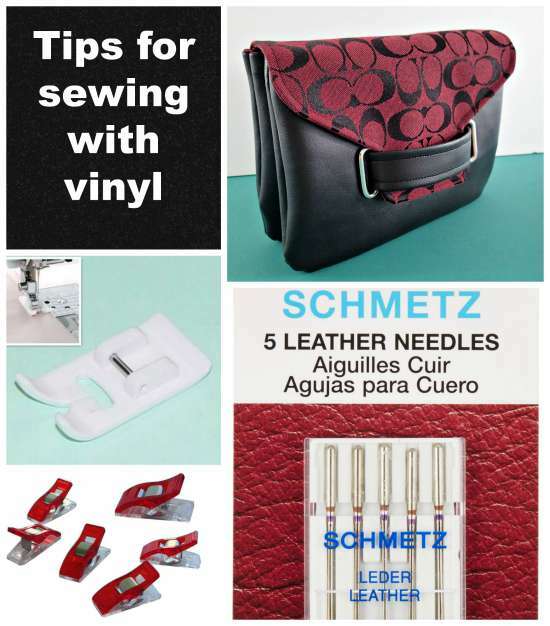 Before you jump right in, here are a few tips and tricks to make sewing with vinyl and faux leathers nice and simple. Needles – Firstly, vinyl is thicker than cotton so we need to be mindful of creating too much thickness and too many layers so that the sewing machine might struggle. 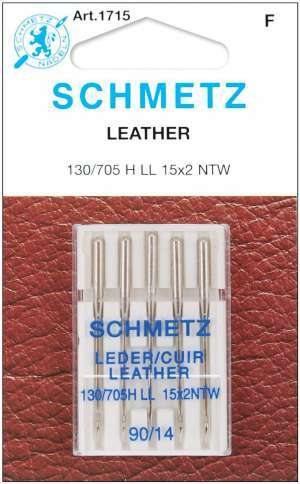 It's best to use a needle designed for leather or vinyl and I used these Leather Needles from Schmetz. They coped beautifully with the vinyl and went straight through with no issues or skipped stitches. If you want to learn more about needle sizes and types, there is a very good Schmetz download available on Craftsy here. Pins – Vinyl is pierced if we use pins and there will be a permanent hole. That's OK if you are only using pins within the seam allowances where these holes will be hidden, but I used Wonder Clips on my vinyl. I use them a lot in bag making because they are good with thick layers too. Even if you don't sew with vinyl, these should be an essential tool in your sewing kit. Even if using pins within the seam allowance, its pretty thick so that can be challenging. No wonder clips? Try small binder clips or mini clothes pins too. Warning – don't leave clips on your vinyl overnight or long term as they can leave an impression in the spongy material. 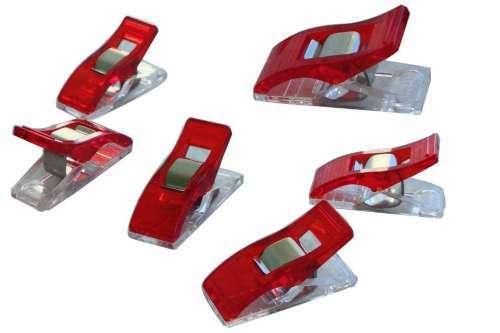 Presser feet – The most often heard problem with sewing vinyl is that it can feel ‘sticky' when under pressure from the presser foot and doesn't feed through your machine smoothly. You can eliminate this problem entirely by just sewing on the reverse side where it's usually backed with a fabric and will feed through without problem, if you keep the vinyl away from the machine bed and presser foot. That won't work for this bag coming up because we need to top stitch on the vinyl side so you'll need to consider what presser foot to use. I bought this Teflon coated foot and was just waiting for the right time to use it, and it was superb. Smooth as butter with no sticky feeling at all. You can also use a roller foot too, although I've not tried that myself. Don't have either and don't feel like getting one? Then your next best option that should get you through this project is to coat the bottom of your regular presser foot with something to stop the metal coming into contact with the vinyl. Stick a couple of pieces of MATTE sticky tape or painters tape to the bottom and it should work OK – not as well as using the Teflon foot, but I think you'll be fine. A reader has recently suggested using teflon coated tape, which sounds like a pretty good idea. The tape looks durable and is supposed to give the same sort of non-stick properties that a teflon foot is supposed to provide. I haven't tried it but if anyone out there can give it a try and let us know in the comments below, it would be greatly appreciated. You can also add some strips of the tape next to the feed dogs on the metal throat plate of the machine too, and this can help the sticky fabric glide through more easily if facing vinyl side down. I just did a project with a walking foot. Worked like magic! Didn’t find this post til after. But Teflon foot did nothing. May have been because it was so cheap. I then went on to push and pull like crazy. After a while, I googled and found the walking foot. Luckily, my machine came with one. Heaven sent! I do have the cheap roller foot shown on the presser foot kit post. I’ll have to try that sometime as well. I have never sewn vinyl before and am excited to get my retro chairs done. Other than the needles, is there a special thread that I need to use? Use thread specifically for leather. Cotton will not last. I have used scotch tape(translucent one) under the foot n it has worked fine. Got feet set today so looking forward to test roller foot. 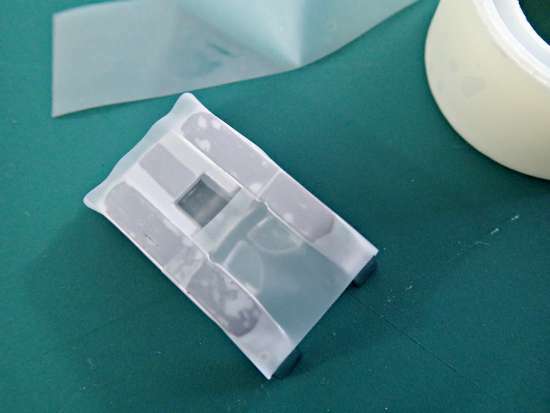 I know this was posted a couple of years ago, but I used to make vinyl purses and the trick is to keep a thin coat of sewing machine oil on the vinyl where you will be sewing and use a teflon foot. I tried everything else and the presser foot would always stick somewhere and the needle would break or bend. I found that the combination of the teflon foot and oil the vinyl would just glide along. It takes a little bit of testing to find the right amount of oil to use, too much and you make a mess, too little and the foot still sticks. It was the only thing I found that consistently worked. Hi Sara, thanks for this valuable insight. Much appreciated. Kind regards and happy sewing! Nylon is the best, second best would be 100% Polyester. Great list. Bought all of the things on the list and it made my life a thousand times easier. 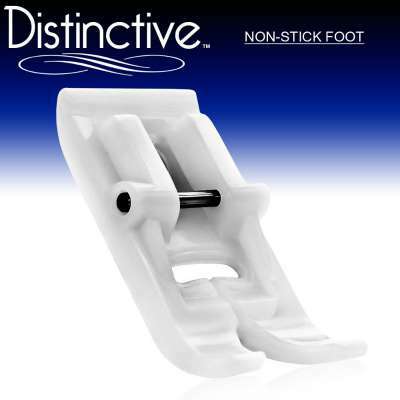 I also have a roller foot- in my opinion it works better than plastic non stick one I got. You can? I had no idea. I’ve just been searching for it and can’t find any Christa, only that plumbing tape. Do you have a link to the Teflon tape you are referring to? Very clever and attractive bag. Thank you. I wonder if Teflon plumber’s tape would work on the bottom of the presser foot & the throat plate. I’ve successfully used regular scotch tape on the bottom side of my presser foot and the sewing machine surface under the presser foot when sewing with vinyl. I think this bag is beautiful! 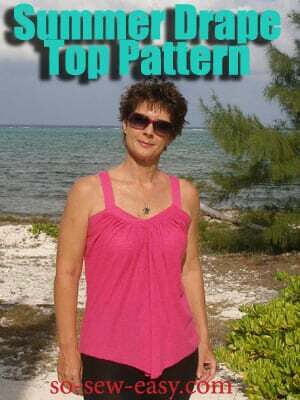 Where did you get the fabrics? I have never seen vinyl this beautiful! Thanks so much for this! I was lucky to find it in my local store. They usually don’t have anything I like, but vinyl they do have for the boating industry. 95% plain but then also this one in red, blue and grey I think. I really should buy some more, I just need some more bag making ideas for it. You could use a tissue you can tear off.